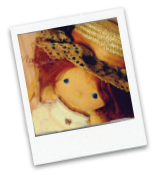 Ever since this little soul came to life, I put a lovely, big, checkered blue ribbon in her hair. Between the first photos I made of her, and the latest pics, the ribbon changed to another one assorted to her dress, but it is still a lovely, big, checkered blue ribbon!! I knitted her snow dress in beautiful soft teddy yarn. It looks so comfy - I would like to have a dress like this for myself!! - and it fits her so well! A nice pair of pink fur boots complete her Snow Girl outfit. 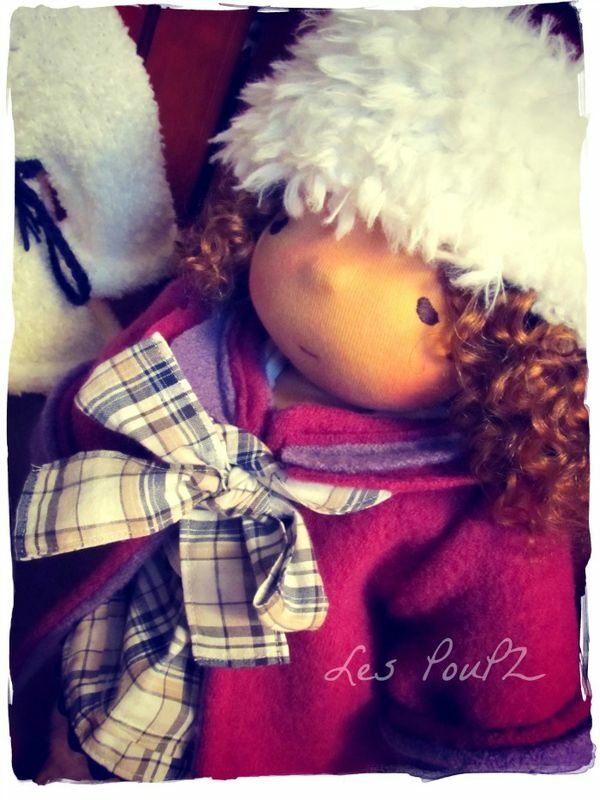 Romane will come with a second outfit; a dress, and a pair of bloomers. 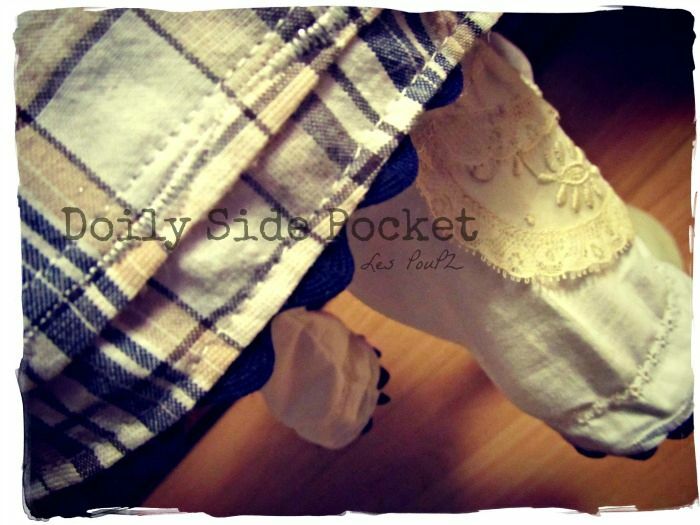 I used a vintage doily to make a side pocket on the bloomers. Other photos will come tomorrow of Romane in her other outfit, and with a coat, to complete her wardrobe; and I shouldn't forget her little friend!! 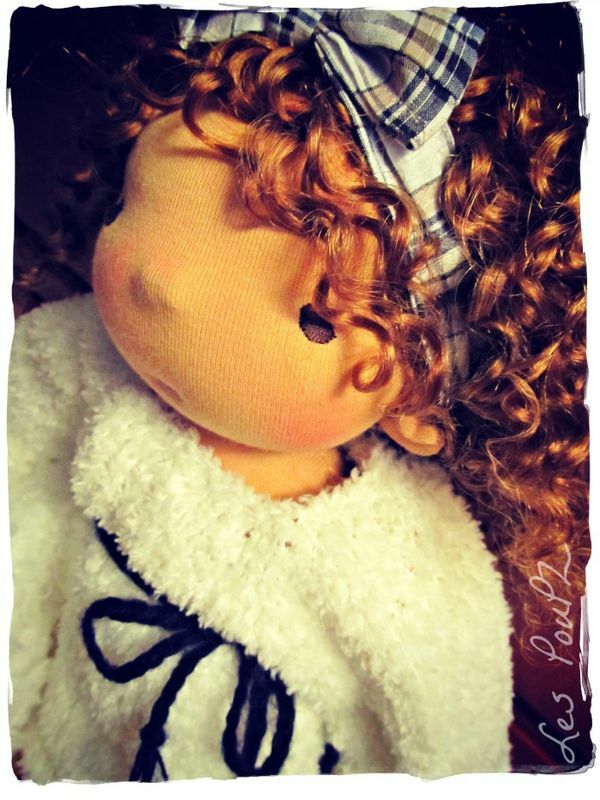 This doll will be available on Thursday; keep tuned to know the place and time!